I currently have a mesh which has a few small pieces that have a 3rd UV channel. 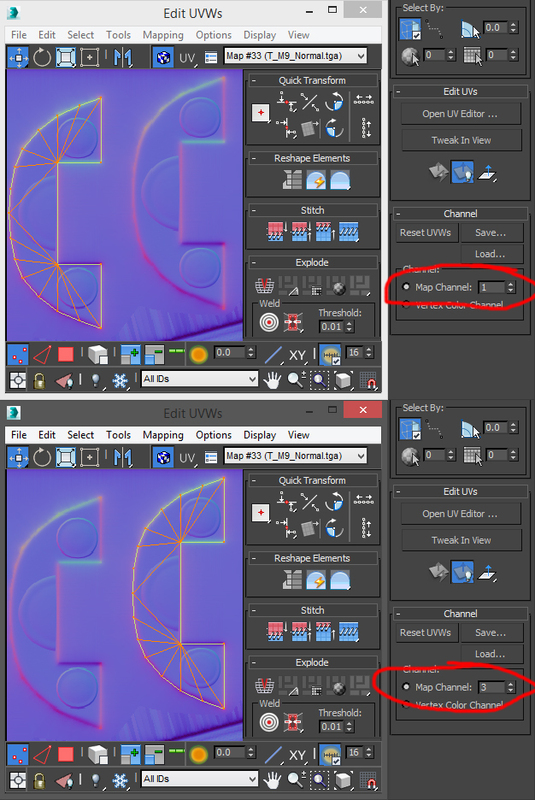 This 3rd channel has those pieces moved to a different position in the 1-1 UV space, so I have a two different appearances for these small pieces located in two different positions on the same texture. 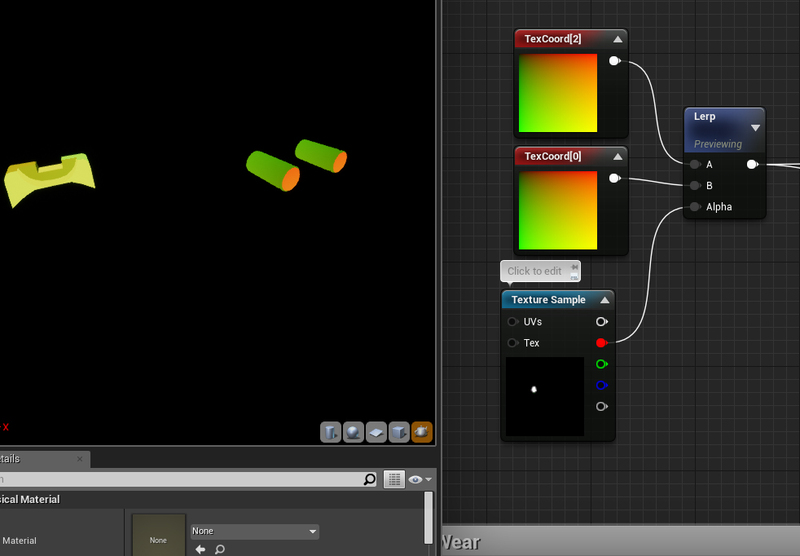 What I thought I could make work by lerping two different TexCoord nodes, turns out it doesn't work that way. Basically I'm trying to get part of a mesh to use the 3rd UV channel for its texture, rather than the entire object. Is there a way to use multiple UV channels for a single mesh? Preferably within a material? An image to better illustrate what I want to achieve. I'd like to switch between either UVs within a material, is that possible? Here's my setup. It uses a mask for the object I'm trying to switch between UVs. But looking at how the texture coordinates are visualised, there's no difference. The final result just makes all objects that do not have a 3rd UV channel appear completely black, there should be a lot more in that mini-viewport. Maybe you are just misplacing Channel 2 and 0 in the lerp node? In your screenshot you should have channel 0 in white mask area and channel 2 in black mask area, while from your description, you seem to want the opposite ? Jesus christ let's forget this post ever happened. This actually solved the problem. I guess I just got really confused with the amount of texture samples I had. Thanks! If you could submit that as an answer I'd upvote it. Texture tileset with material editor. How to offset a texture? Why does the texture change over connected UVs?